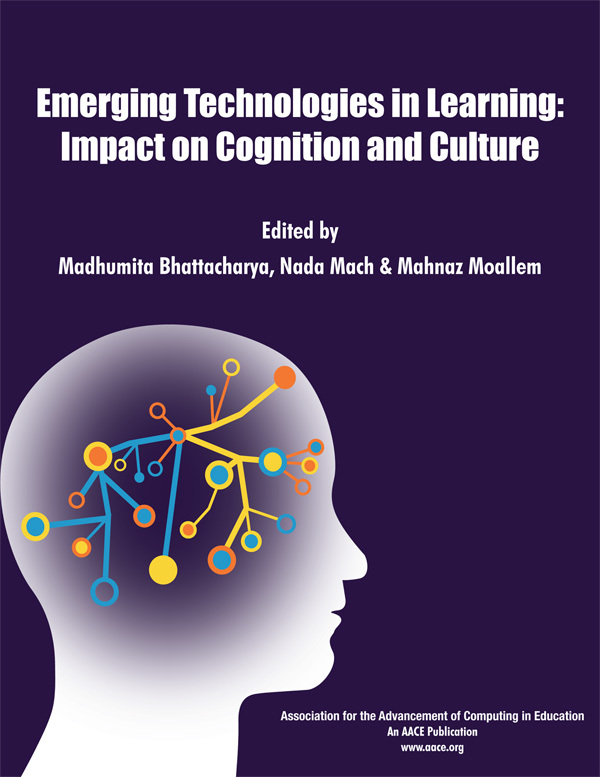 Emerging Technologies in Learning: Impact on Cognition and Culture . Published 2011 . Publisher: Association for the Advancement of Computing in Education (AACE). technologies play an indispensable role. Innovative ideas, as well as issues related to learning, teaching and assessment, work place learning, assistive technology, the roles of current and future technologies in learning are discussed by authors from various countries and educational settings. Bhattacharya, M., Mach, N. & Moallem, M. (2011). Emerging Technologies in Learning: Impact on Cognition and Culture . Association for the Advancement of Computing in Education (AACE). Retrieved April 25, 2019 from https://www.learntechlib.org/primary/p/39252/.